Additional Info: Dr. Randall Cunningham is a graduate of Indiana University and a professional teacher and performer with over twenty years of experience. He teaches clarinet and saxophone at William Jewell College and out of his home in Liberty, MO. 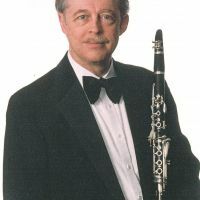 He is the Principal Clarinetist of the Liberty and St. Joseph Symphonies (MO) Bass Clarinetist with the Des Moines Metro Opera and Co-Principal Clarinet of the Kansas City Wind Symphony. He is also a composer and arranger of music for clarinet, much of which has been published by Woodwindiana of Bloomington, Indiana. Fees: My current fee will be given out at the time a new student signs up for a lesson time.